A dearth of black female role models in the film industry meant Lusanda Mgoduka had to go to Los Angeles to realise what could be achieved. Mgoduka wanted to be a director, but she was afraid that breaking into the field would be impossible, so she majored in production while studying for a degree in Motion Picture Medium at Afda. “I secretly wanted to direct, but was scared I would not be able to make a living to support myself. At the time, I had never met a black director in the commercials and advertising space,” she says. Switching her focus led to several successful years as a freelance production manager and producer, working on films including Machine Gun Preacher for Hollywood; Skyf, a South African film; and 10 Days in Sun City, a Nollywood movie. But her real passion still lay in directing, and when she joined Five Star Media as a partner this year she turned towards that goal. A business trip to Los Angeles was the catalyst. There she discovered Women In Motion Pictures, a group of women with the cheeky and entirely inappropriate acronym Wimps, who work to create more opportunities for women. 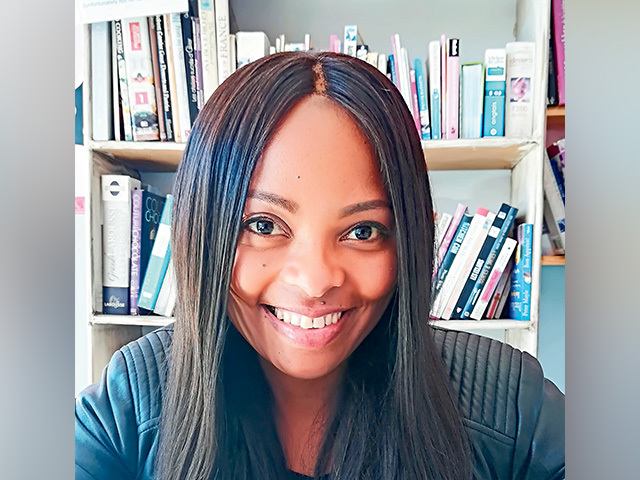 Mgoduka is now setting up Women In Motion Pictures South Africa (Wimps SA), with help from her American role models and Kirsty Galliard, a partner at Five Star Media.